Envirolite LED outdoor wall lanterns use 70% less electricity than traditional incandescent fixtures, and there is no bulb to replace or recycle. The LED light source inside is the most reliable outdoor lighting available because it turns on instantly in any temperature and lasts 50, 000 hours without replacement. 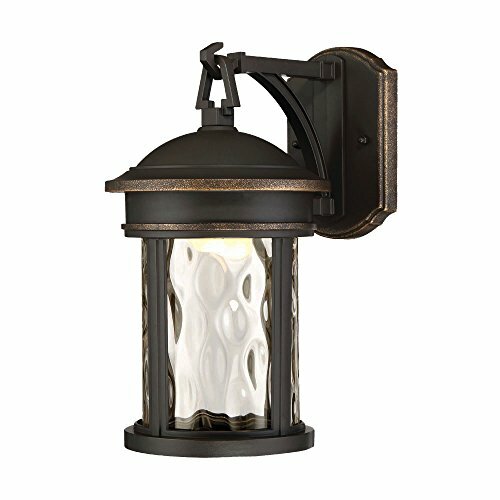 These fixtures are built with cast aluminum to look great for years to come. They are easy to install and are suitable for use in wet locations. This design features an olympic bronze finish and clear hammered glass shade with a simple, elegant style that complements any exterior decor.